In recent years we’ve got used to the fact that if a product bears CE mark, it is safe. The reason for this assumption is the goods’ compliance with EU standards. 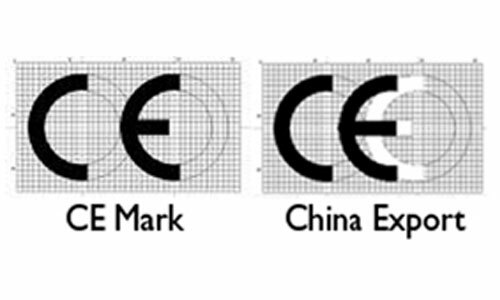 Unfortunately, there exists a much similar mark which the majority of consumers and even sellers understand as CE mark of the European Union. However, this mark symbolizes something quite different. What’s behind China Export marking? This mark means that the product was manufactured in China, and means “China Export”. This similarity is not a chance coincidence. It expresses the aggressive approach and is used to confuse European consumers. The China Export mark is not registered, it does NOT confirm positive test results and is placed by Chinese manufacturers arbitrarily. Please spread the news to avoid confusion!